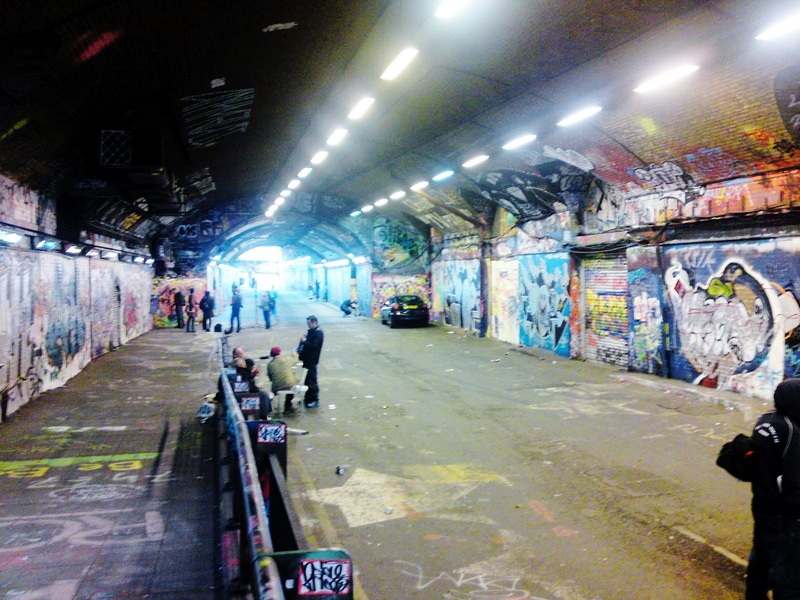 Leake Street graffiti tunnel: Accepted and ‘cool’. Hidden below the chaos of London’s busy Waterloo Station lies a very different place where the interactions of the people in this bustling city are evident in a very different way. 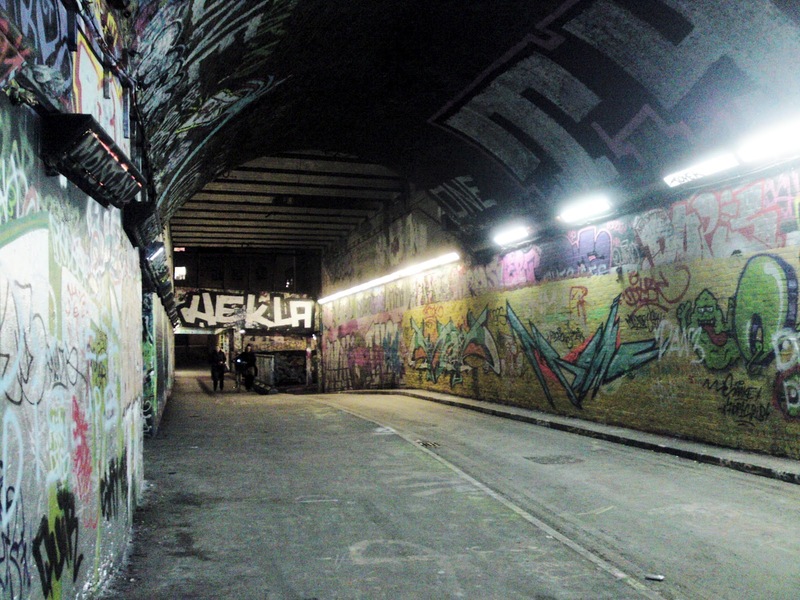 The Tunnel is an authorised graffiti area where writers can practice their craft without the fear of the societal consequences associated with writing in the majority of other places in the city. 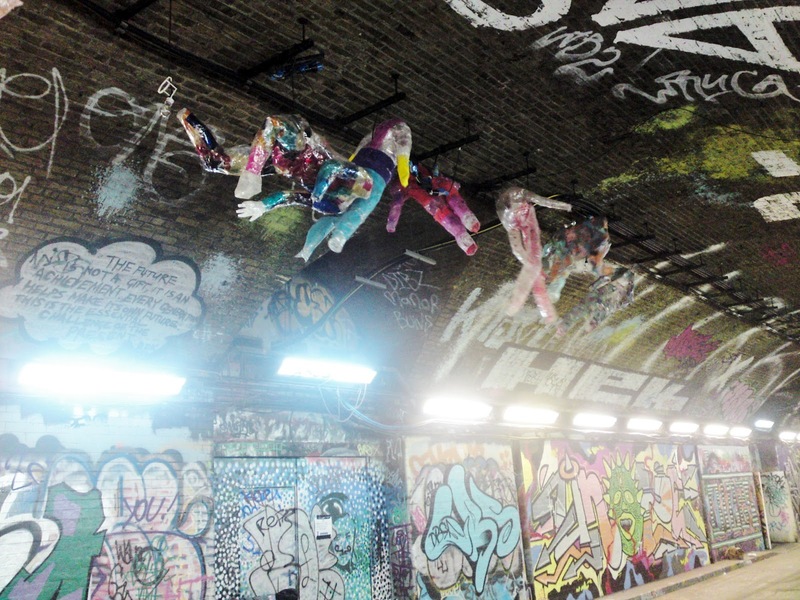 Works include anything from tags to more artistic forms of street art such as pieces or throw ups. I’ve even seen recently more elaborate forms of visual art and sculpture. Subject matters might be anything from identity or political messages to professions of love or contemporary culture. 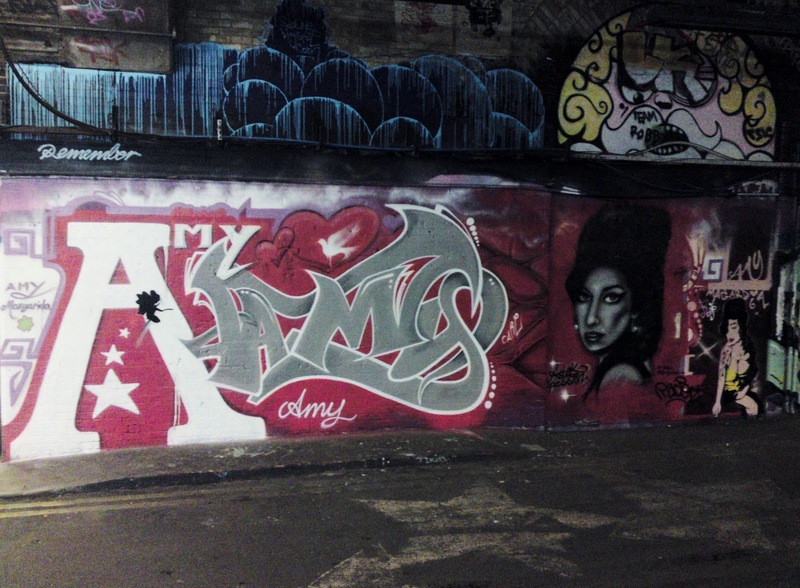 There is an image below of a great piece paying tribute to the late cultural icon, Amy Winehouse. The thing that strikes me about this place is how ‘cool’ it appears. Speaking generally from the view of a society, why is graffiti and street art considered ‘cool’ when it’s all together in one legal place, but not when it appears in its more organic and perhaps true form on our city’s streets and walls? (Though, I know there are many people who would still consider this cool, and some even cooler simply for its illegal nature). Is it a bit ‘not in my backyard’, whereby people don’t care what is going on as long as it isn’t in their own space or interest? The ‘broken windows’ concept proposed by Wilson & Kelling in 1982 is also worth mentioning here. The concept states that a broken window left unrepaired gives a sense to the community that nobody cares, leading to more broken windows. Similarly, leaving graffiti unchecked can lead to an increase in graffiti in the area, thus adding to a feeling of disorder and disrepair. Perhaps with graffiti contained in one place that is not somebody’s personal space these fears are reduced. 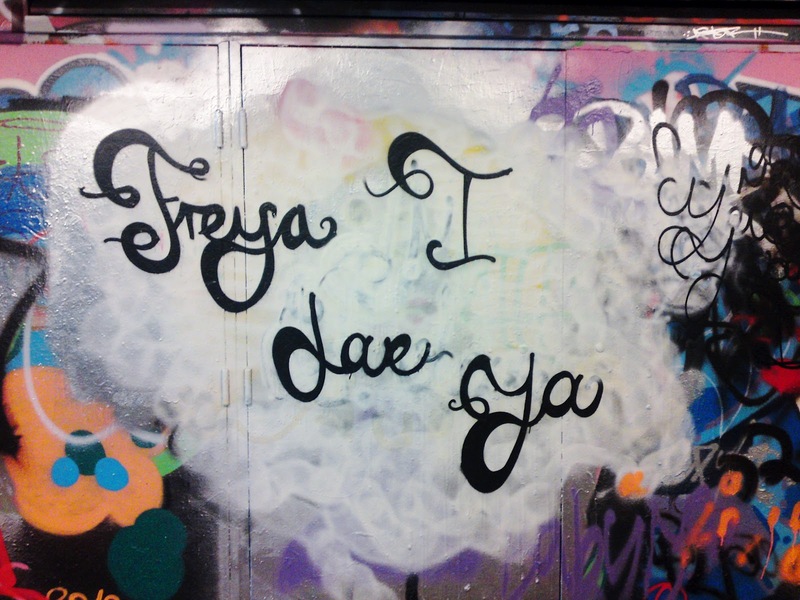 I admit, even I probably wouldn’t appreciate someone defacing my home. Everyone has differing views on graffiti and street art, and often in the end that doesn’t really matter anyway. 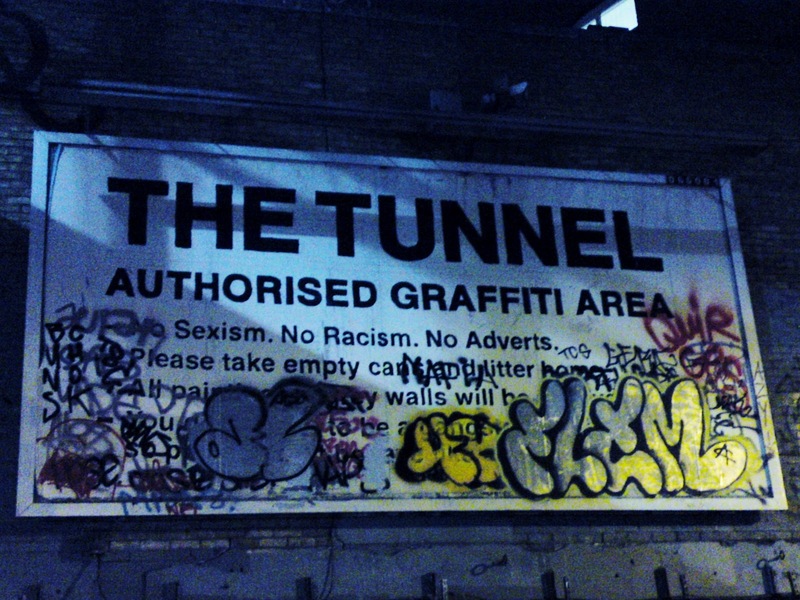 Policy makers and people with authority still make the decisions for its management, and graffiti will continue to occur anyway, whether authorised or not. In my opinion, though, I think this place is rad. I love the art, I love the juxtaposition of paint and colour with the otherwise empty, utility feel of the unused tunnel. I love the interactions you witness between people; I love watching artists paint. I love the vibe, and I love the exposure. It’s definitely one of my favourite places in London.